Every day of our lives we witness amazing things. Some events we perceive as enjoyable and others as simply annoying! All events are recorded but our unconscious feeling and our conscious thought often interpret things differently. How we Perform Negative Miracles is all about helping people to realise that we have a big say in creating the life we experience. 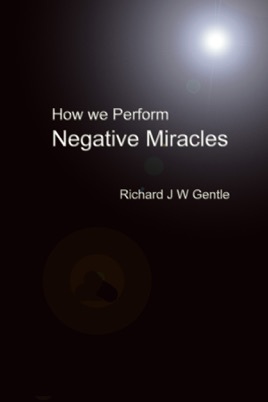 We can actually produce our own positive miracles and it is so simple! This concise booklet gives you valuable insight into how.